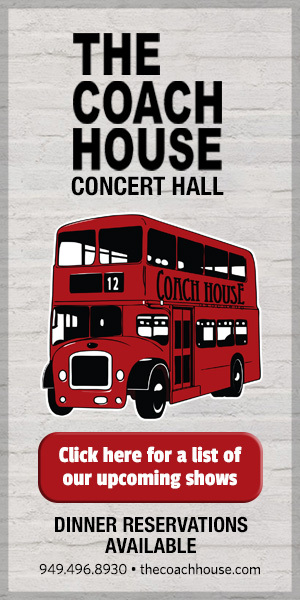 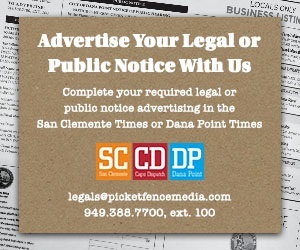 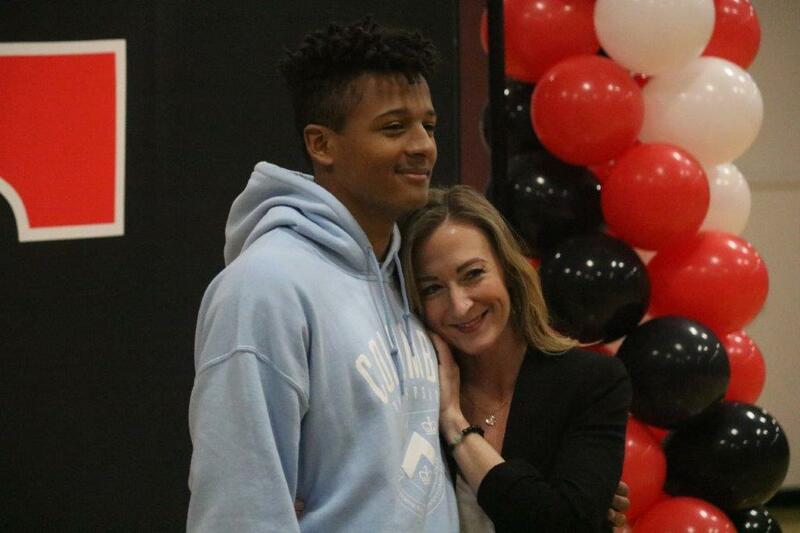 SAN CLEMENTE – One year ago, Jaydel Jenkins was coming off his first bit of varsity football experience. 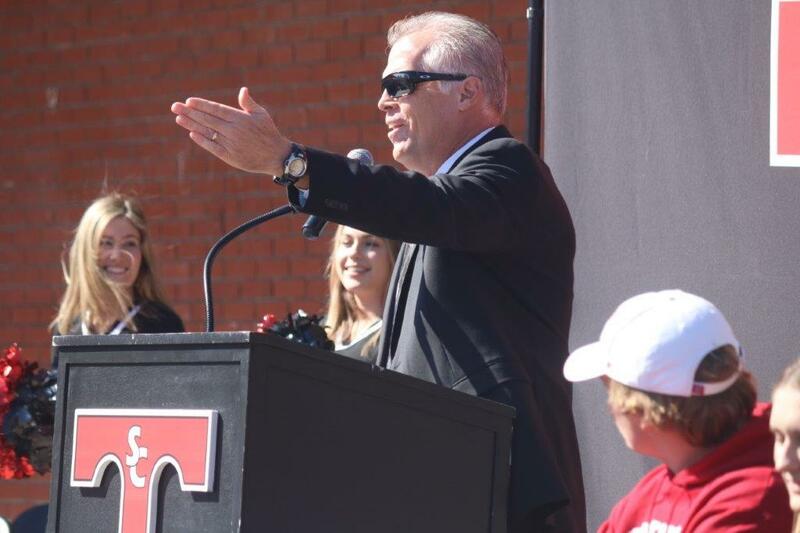 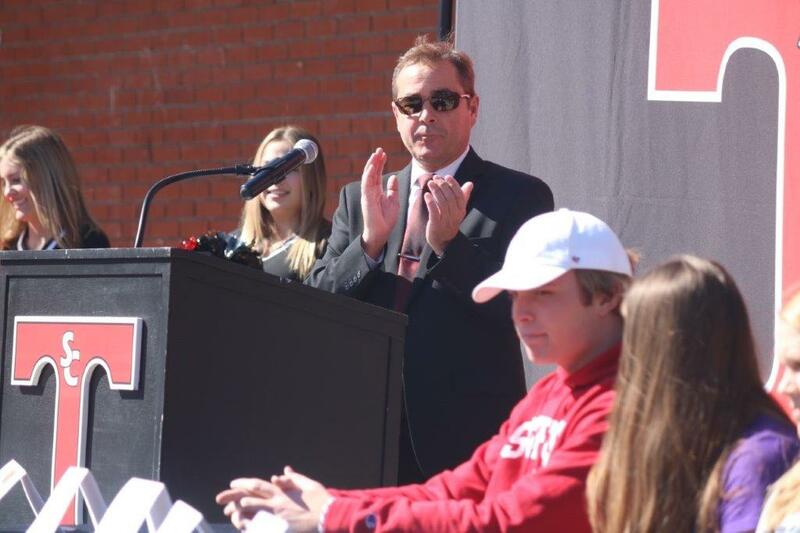 The wide receiver played in only five games as a junior with eight receptions for 136 yards and two touchdowns. 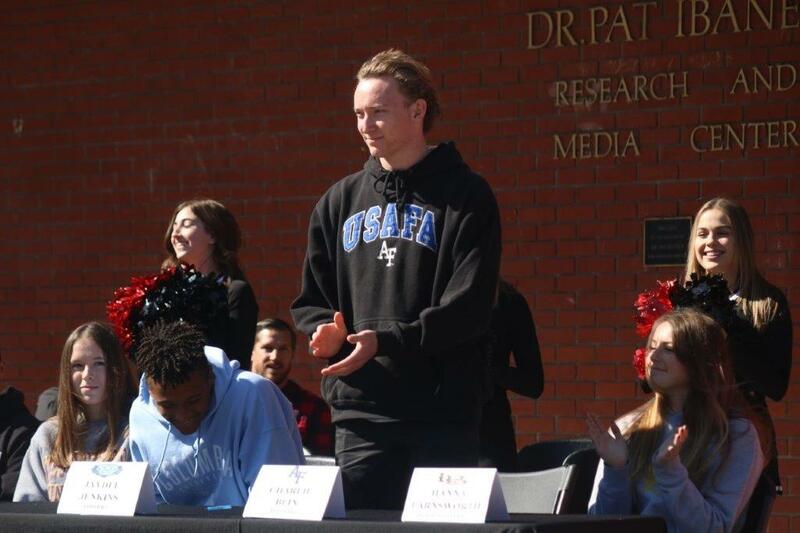 It wasn’t overwhelming, but his tall frame and over-the-top speed showed enough promise to get an early contact from Columbia University. 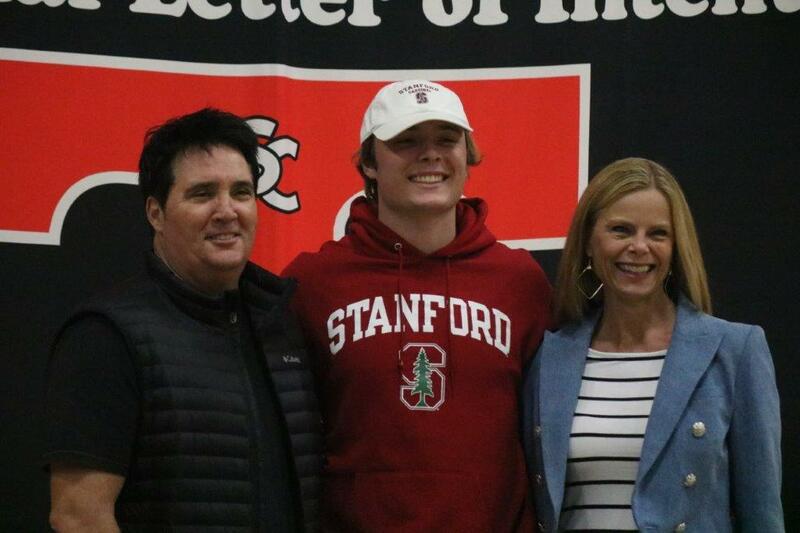 That promise came to fruition as a senior as Jenkins exploded for 12 touchdowns and 1,003 yards on 51 receptions in all 12 games. 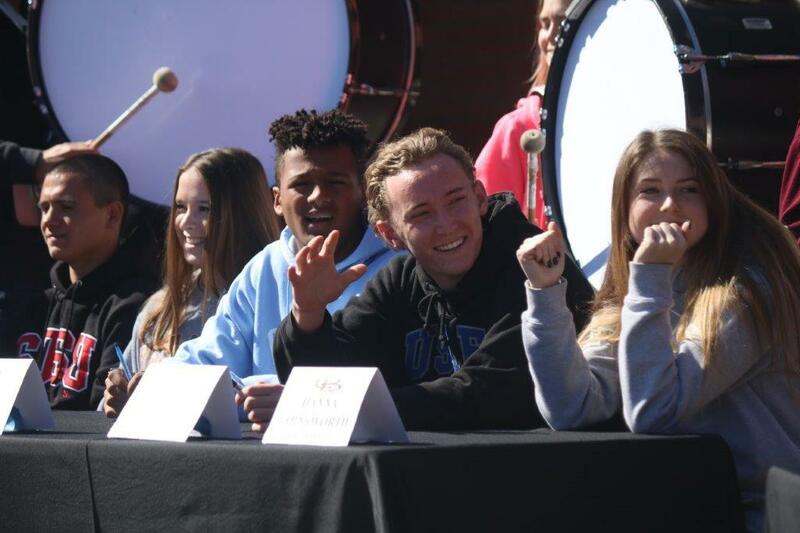 Jenkins caught for over 110 yards five times, including a career-best night of 10 receptions, 166 yards and three touchdowns against Murrieta Valley on Sept. 7. 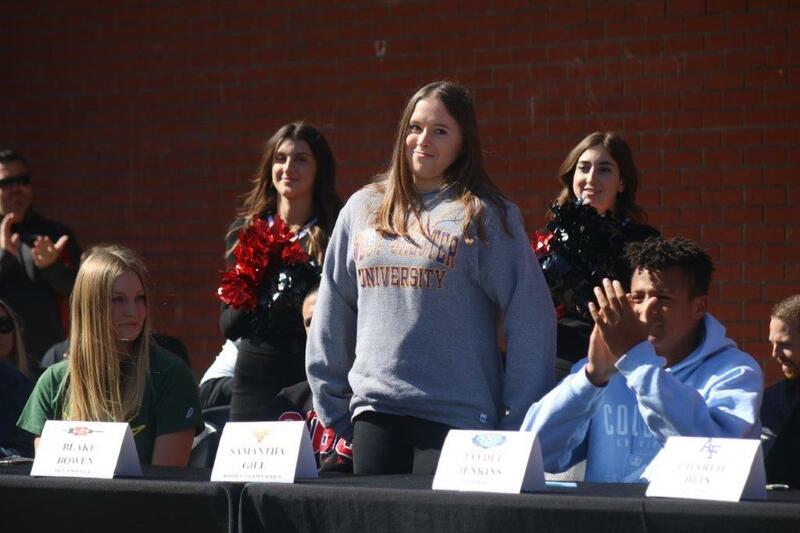 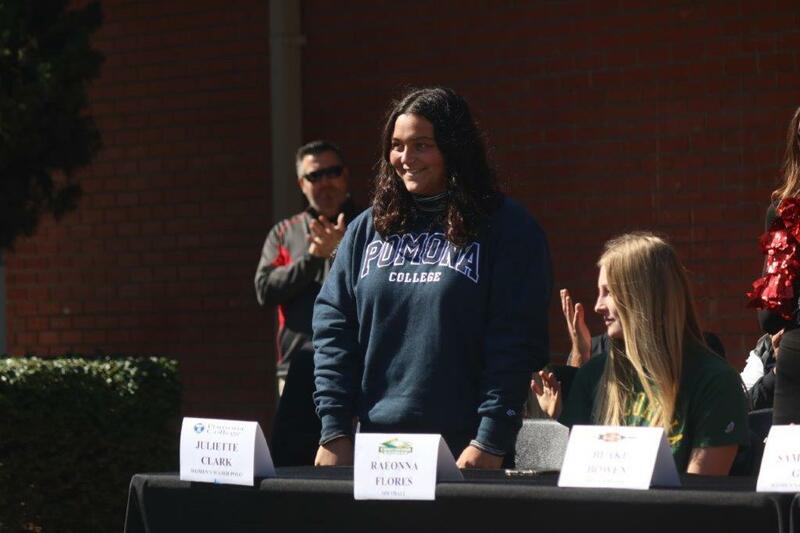 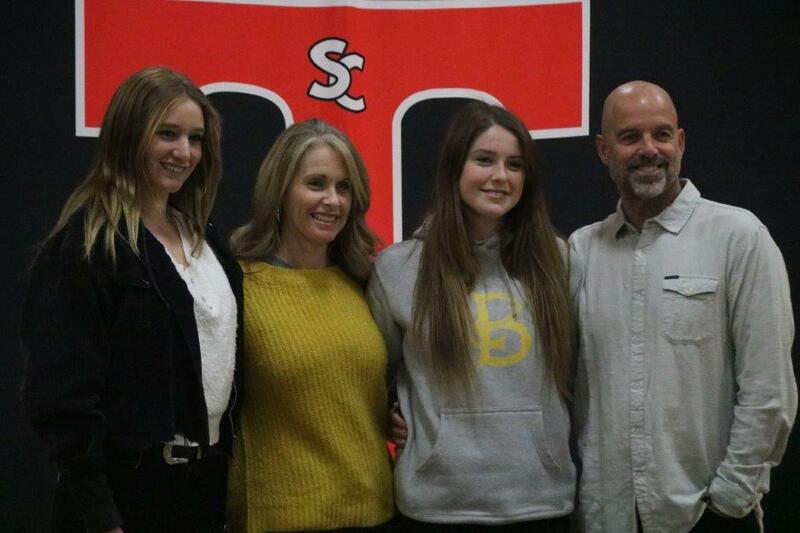 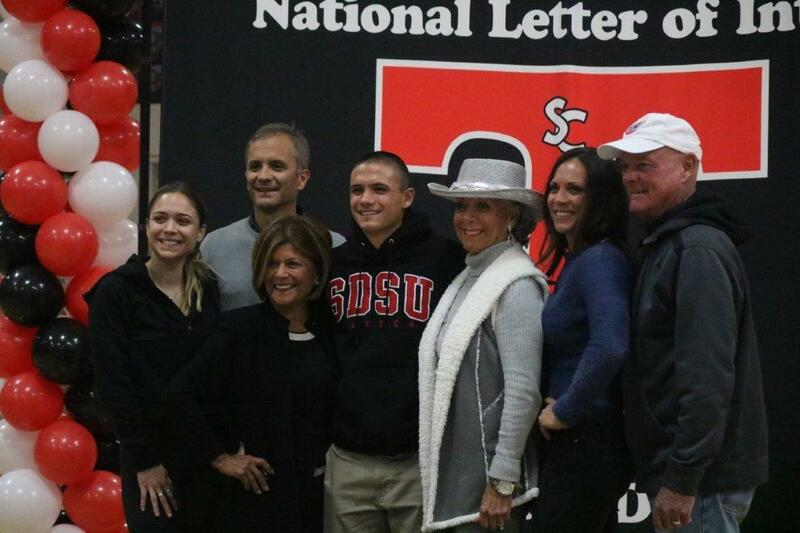 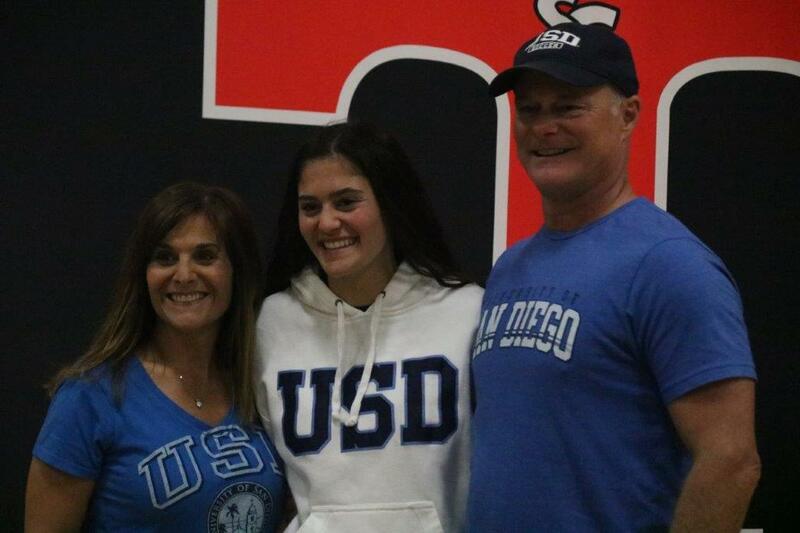 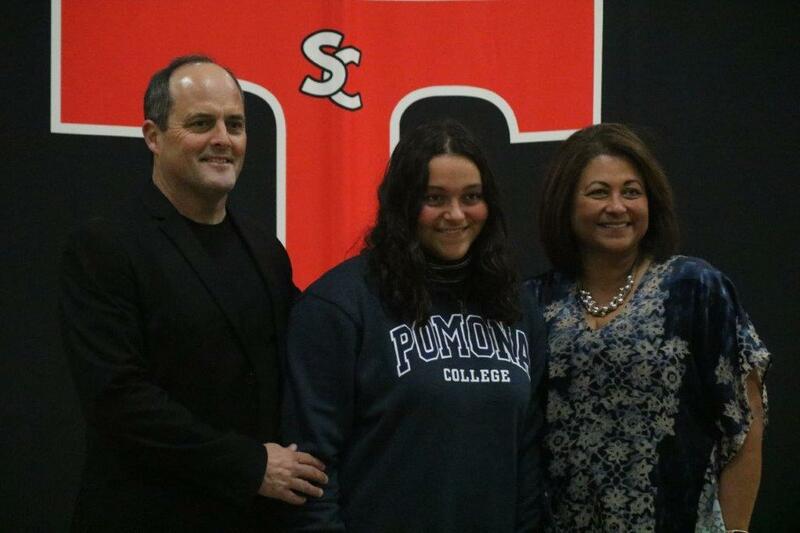 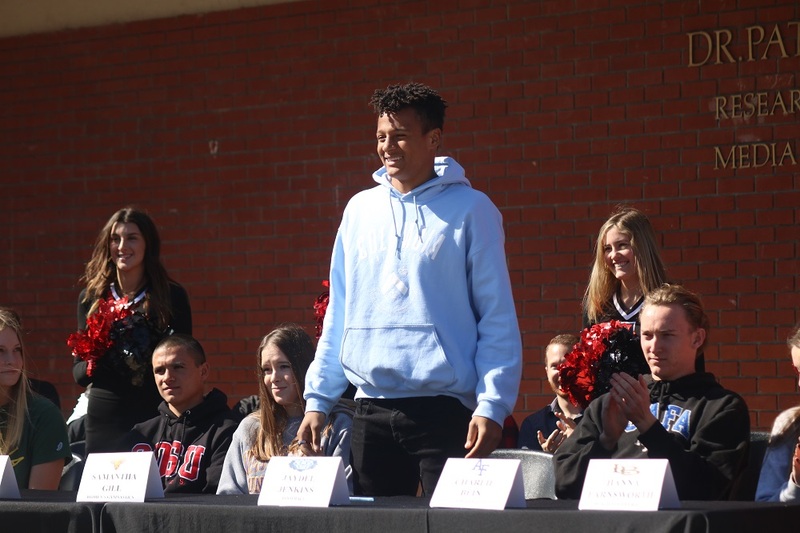 The year came full circle for Jenkins on Wednesday as he signed his National Letter of Intent to play football at Columbia on National Signing Day at San Clemente High School. 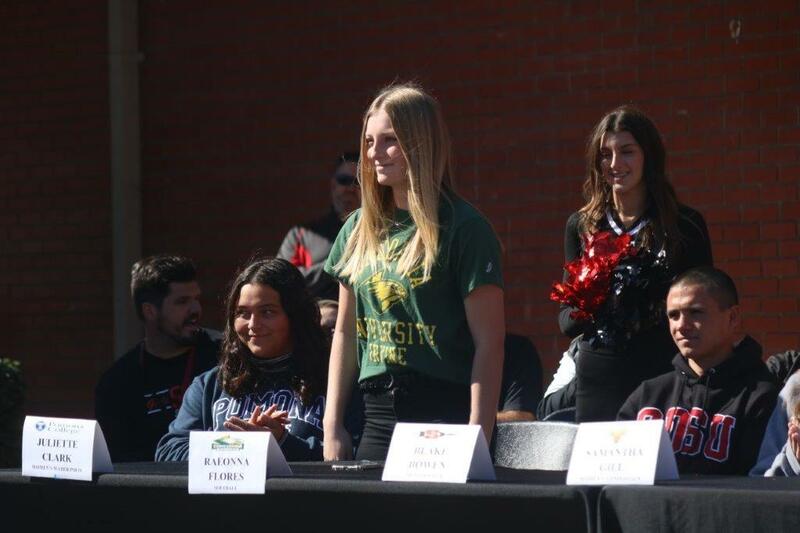 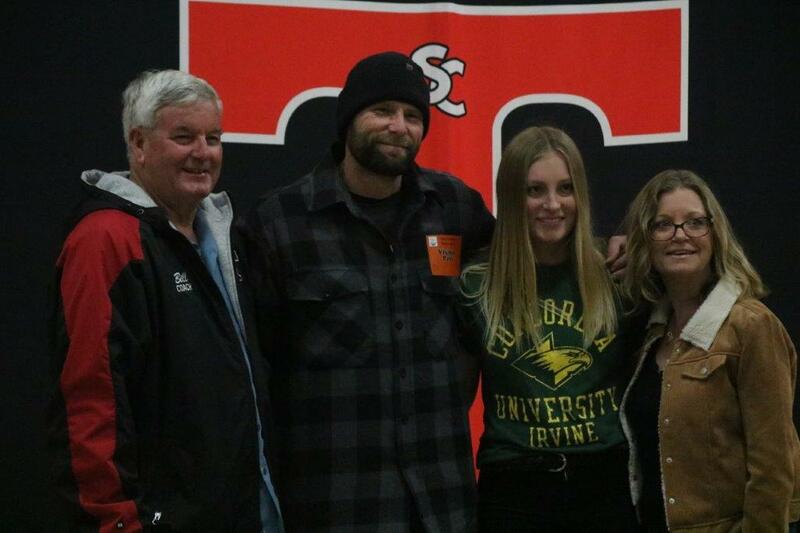 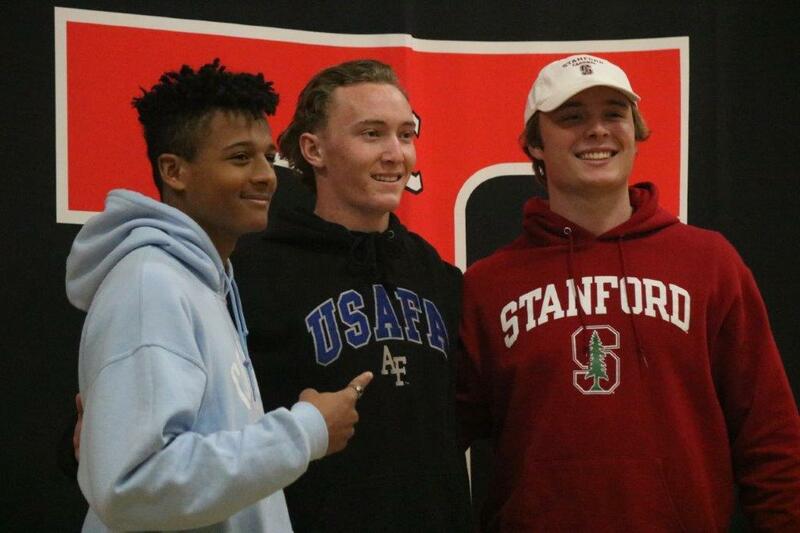 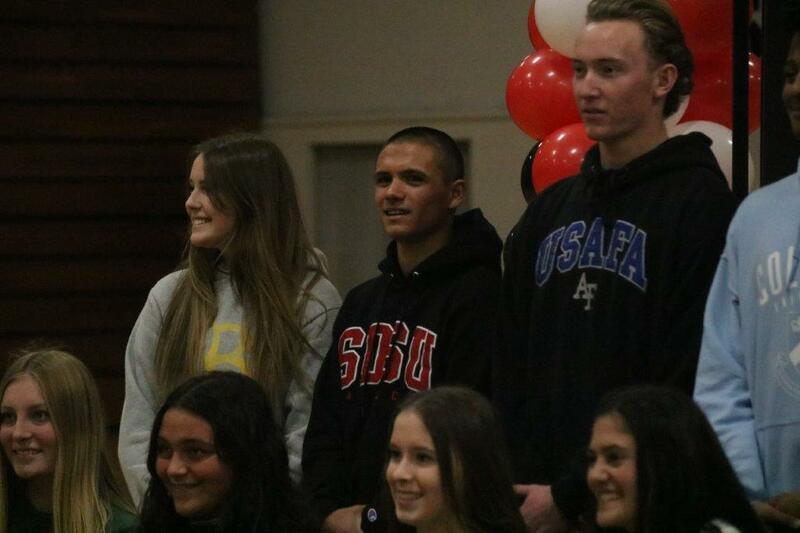 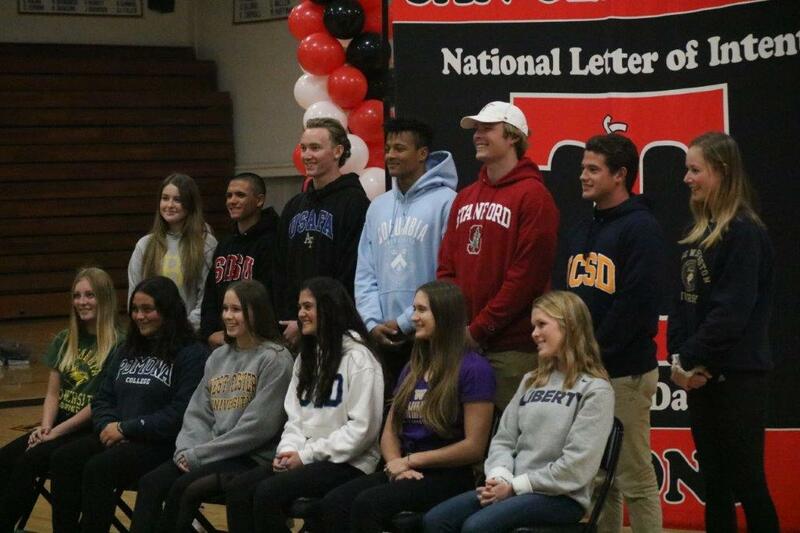 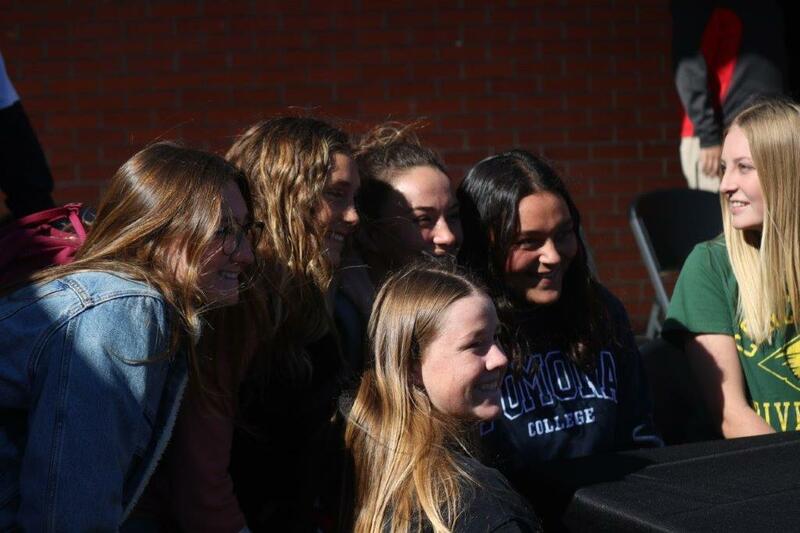 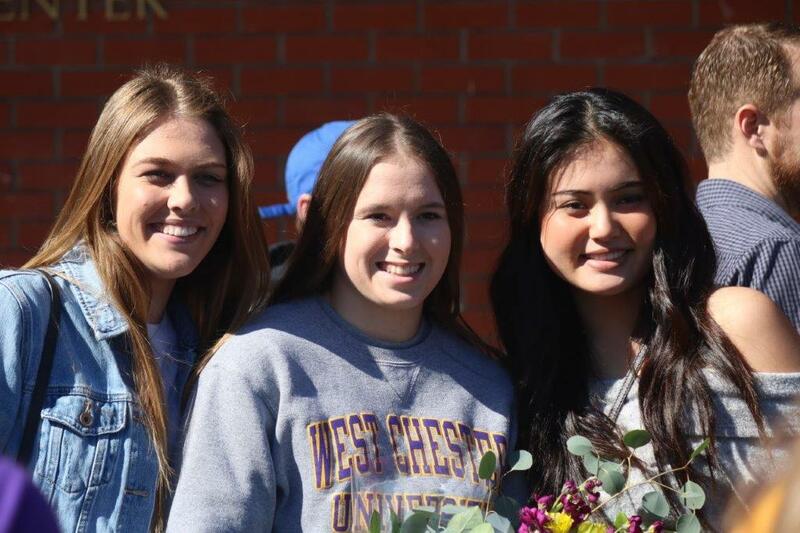 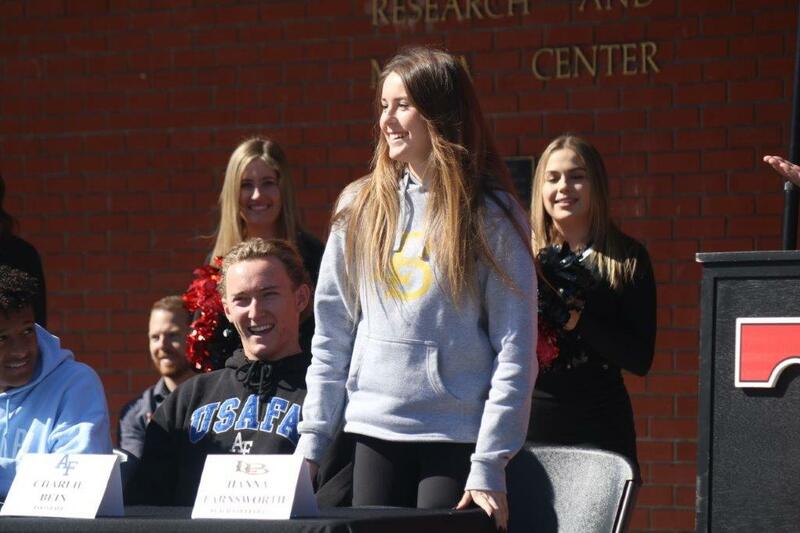 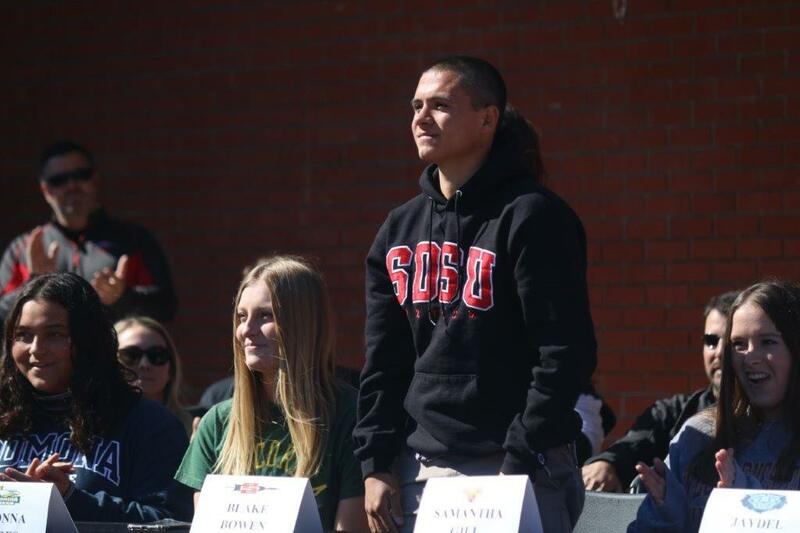 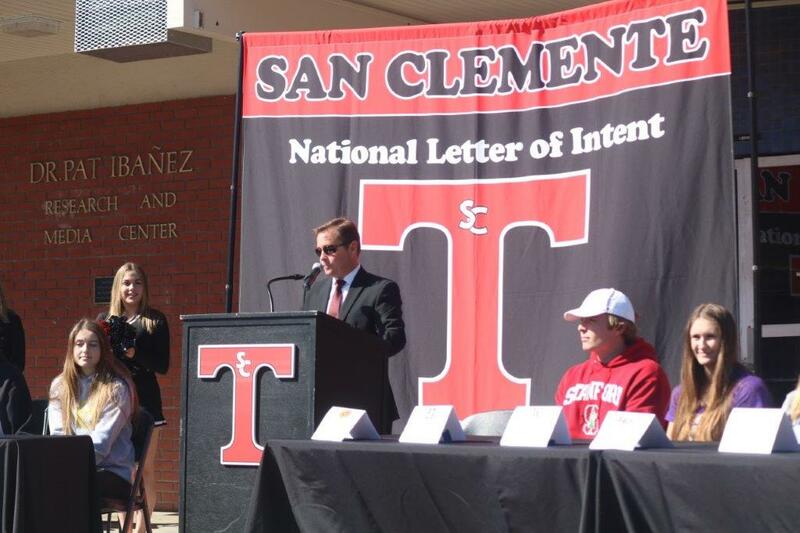 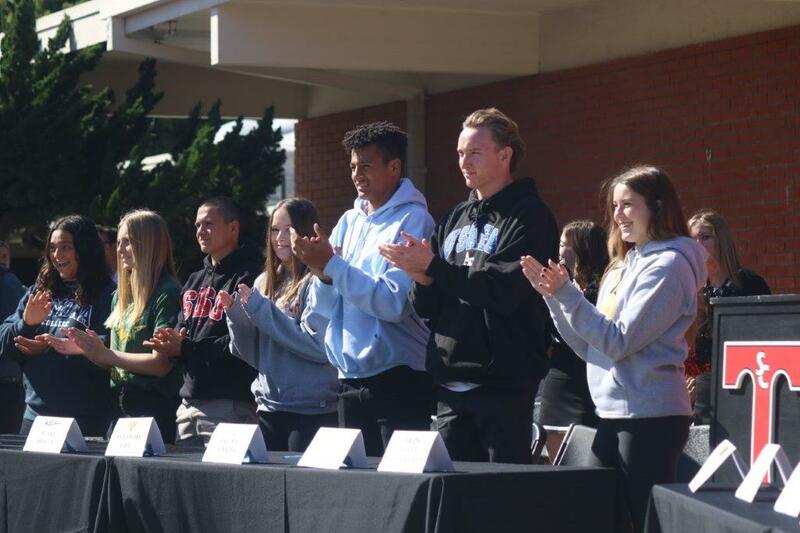 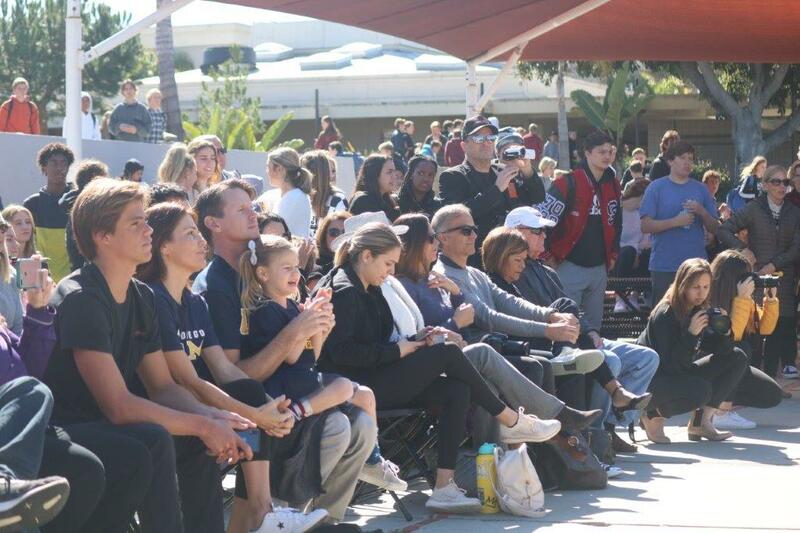 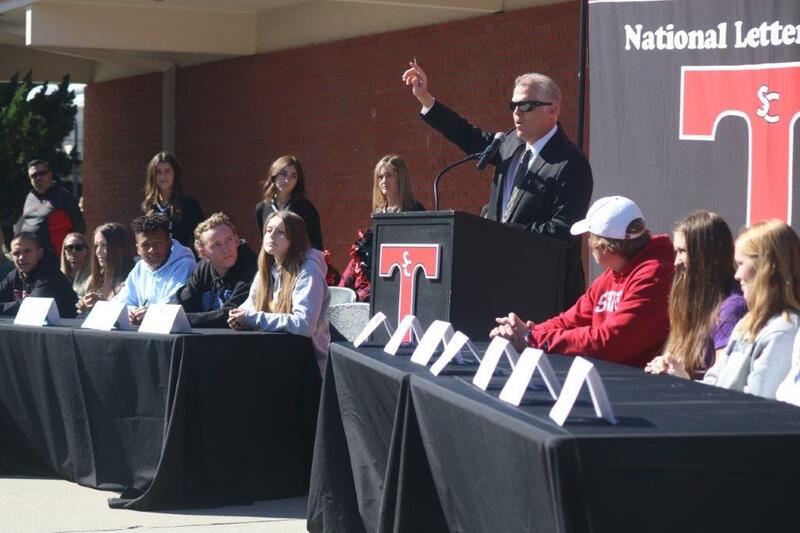 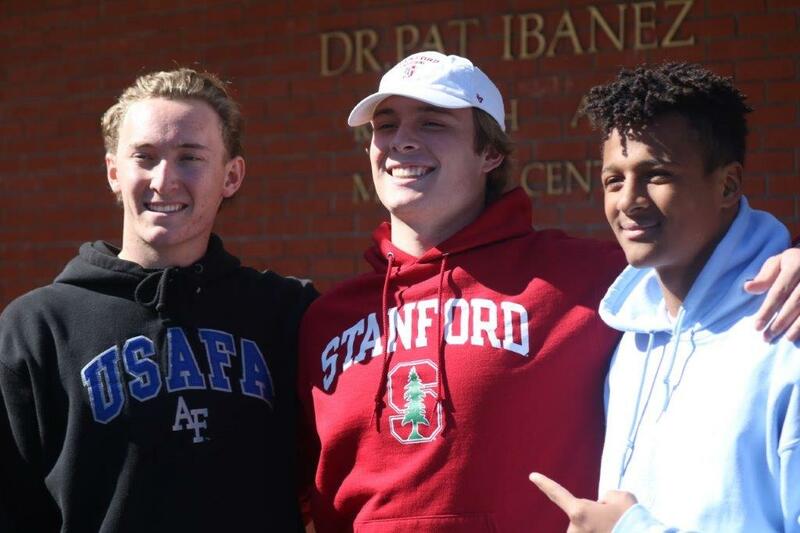 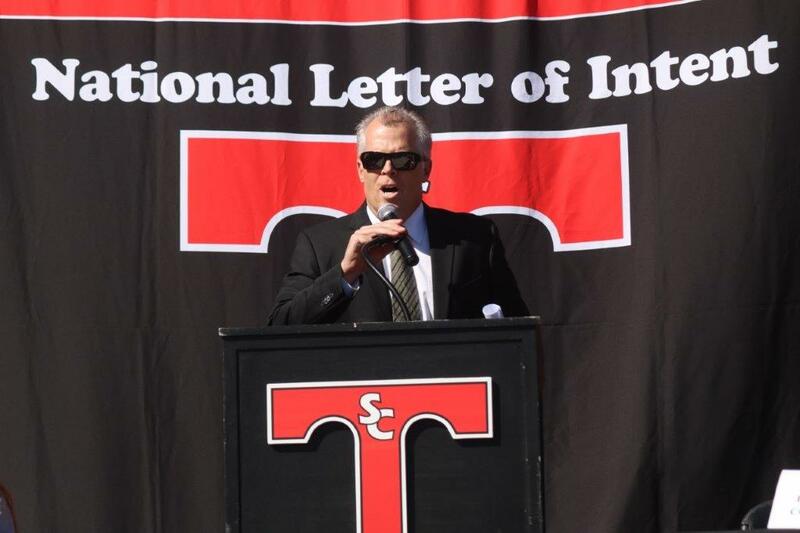 Jenkins joined teammates quarterback Brendan Costello, lineman Wakely Lush and punter Charlie Bein as signees for the Triton football team that were part of the San Clemente student-athletes honored in an on-campus ceremony. 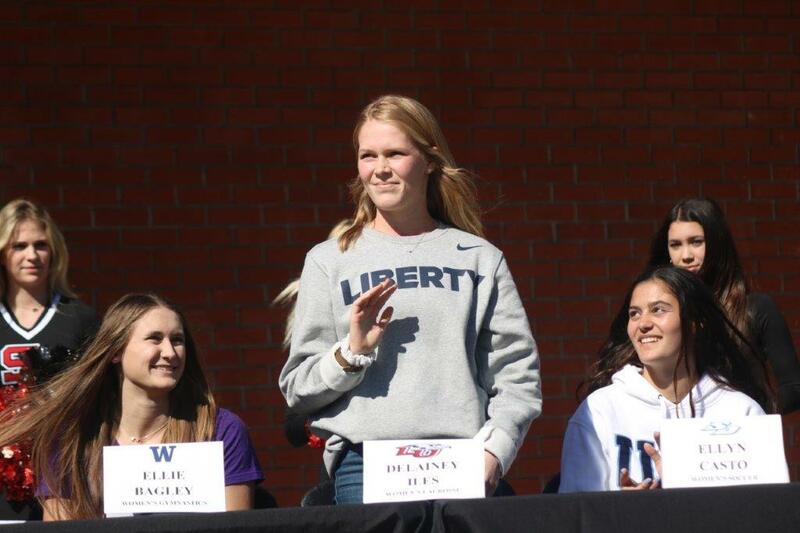 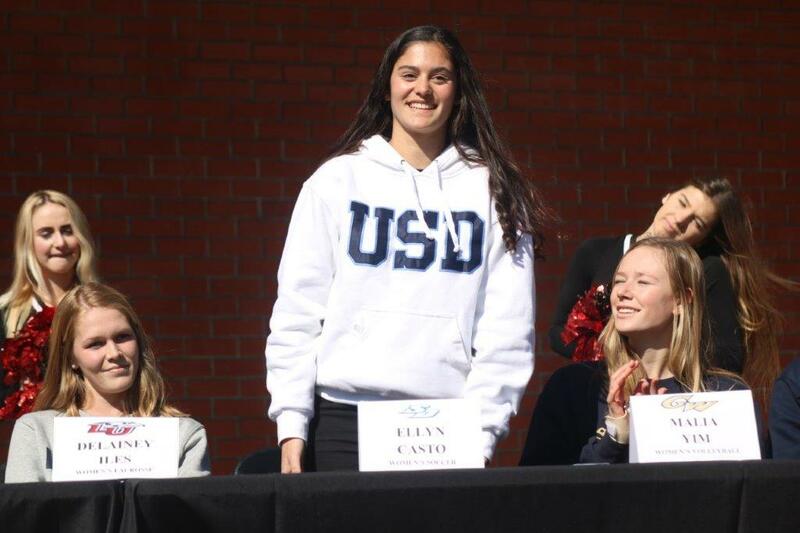 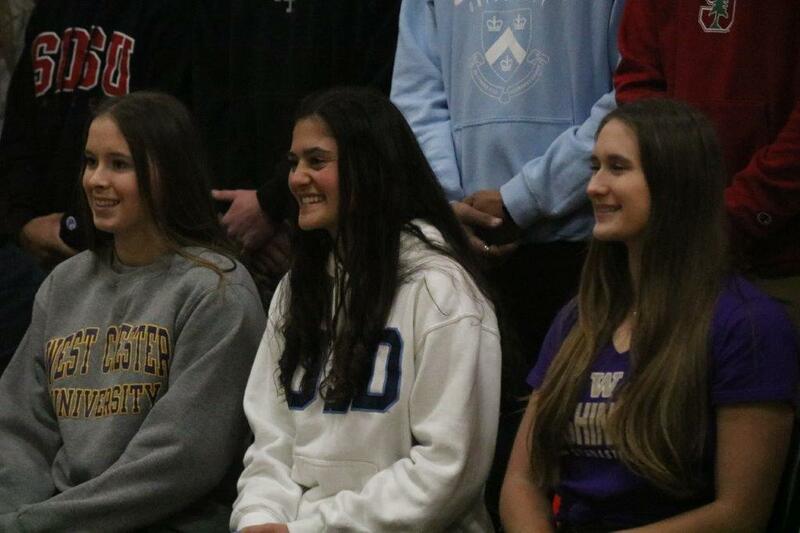 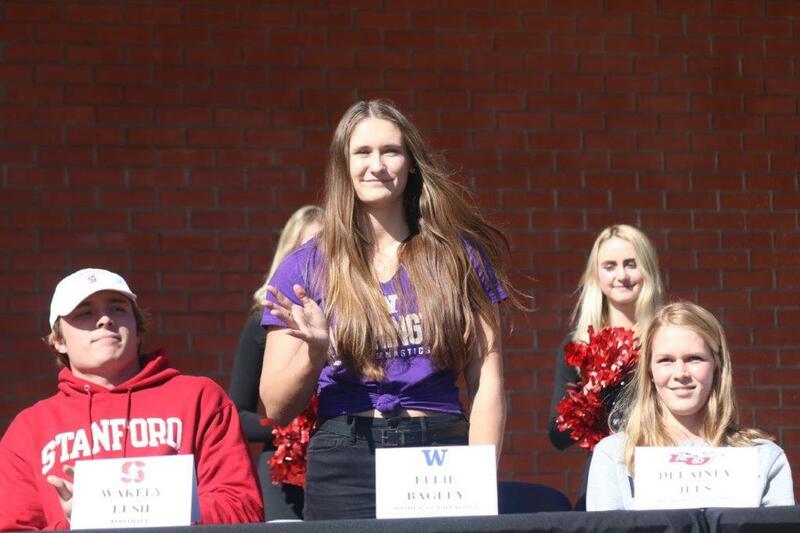 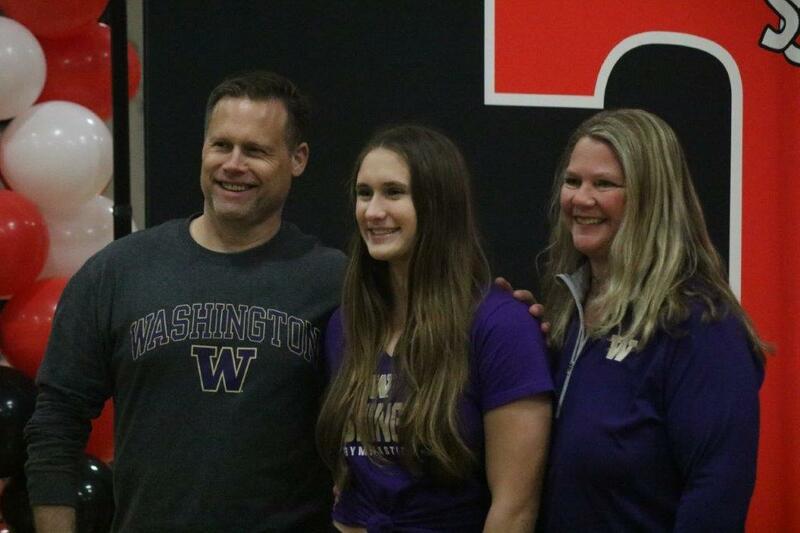 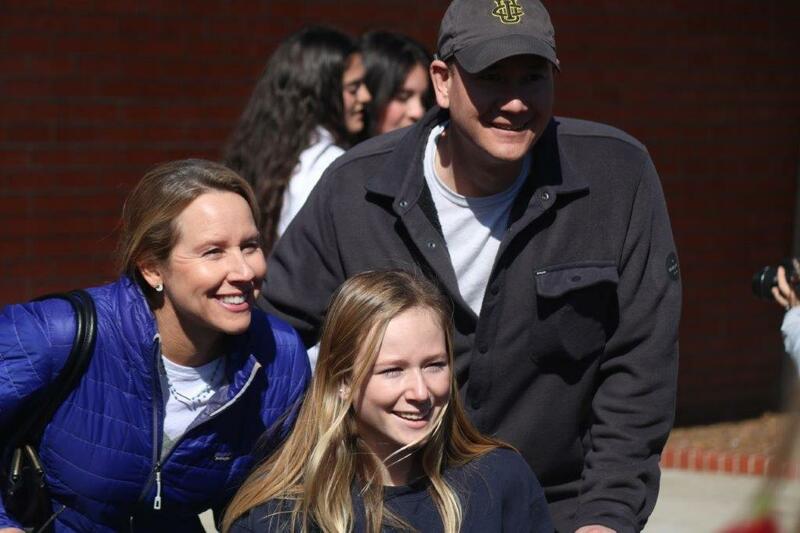 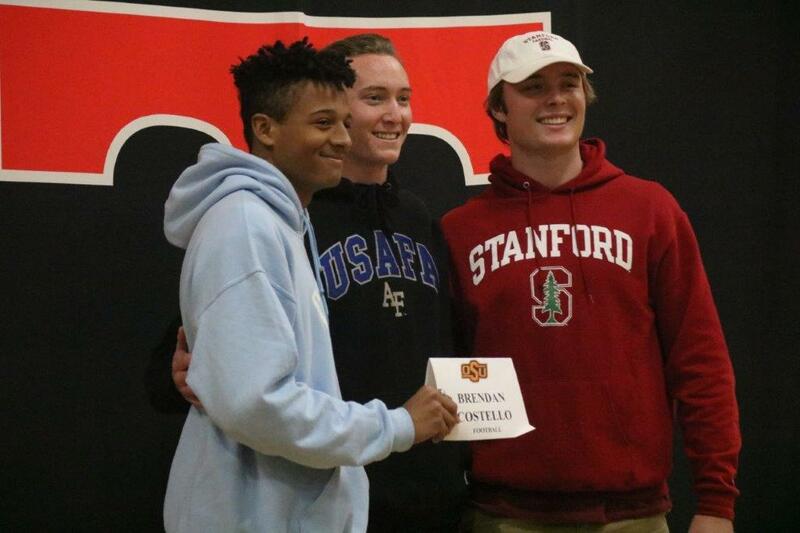 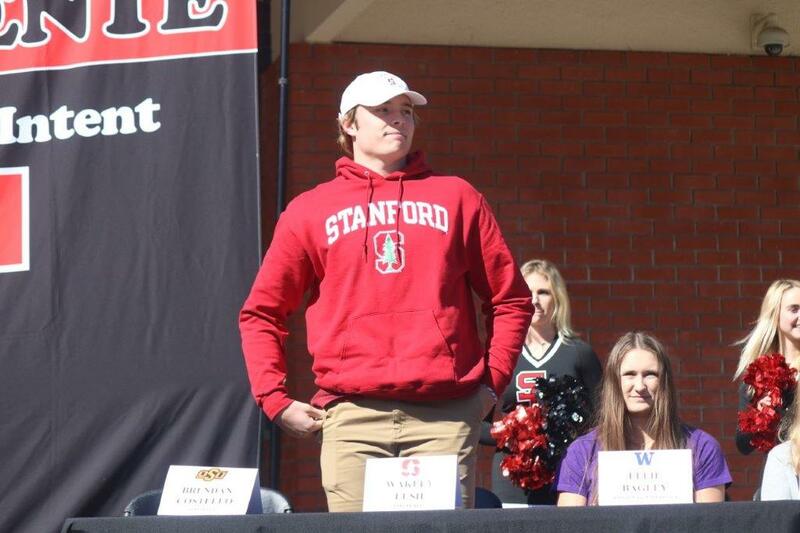 Costello (Oklahoma State), Lush (Stanford) and Bein (Air Force) all signed at the start of the early period in December. 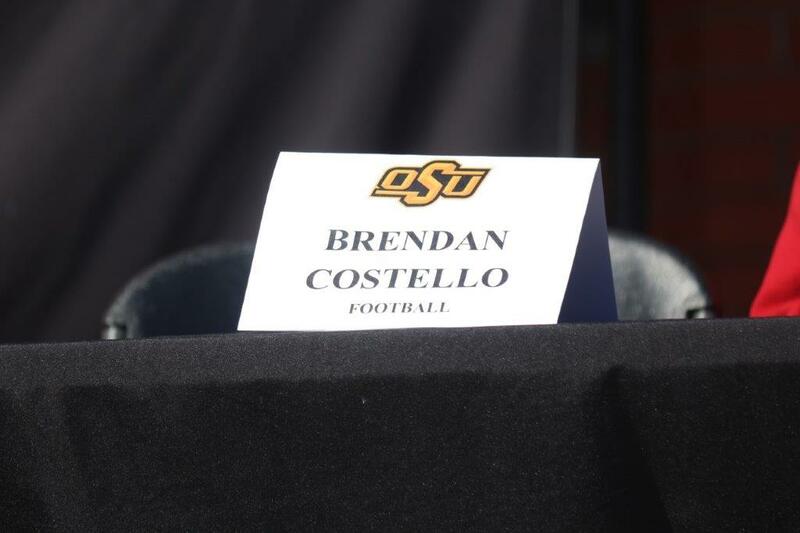 Costello and Bein were tagged before the season to be big time signees, but players like Jenkins and Lush had to work for their offers. 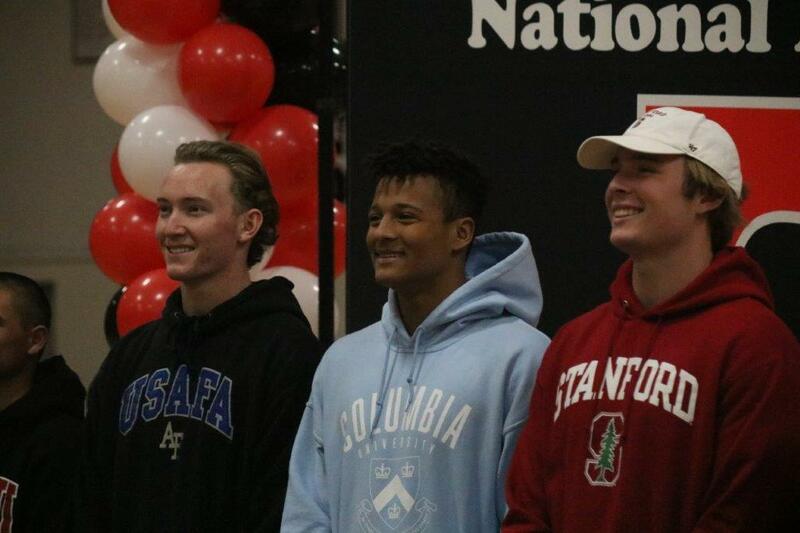 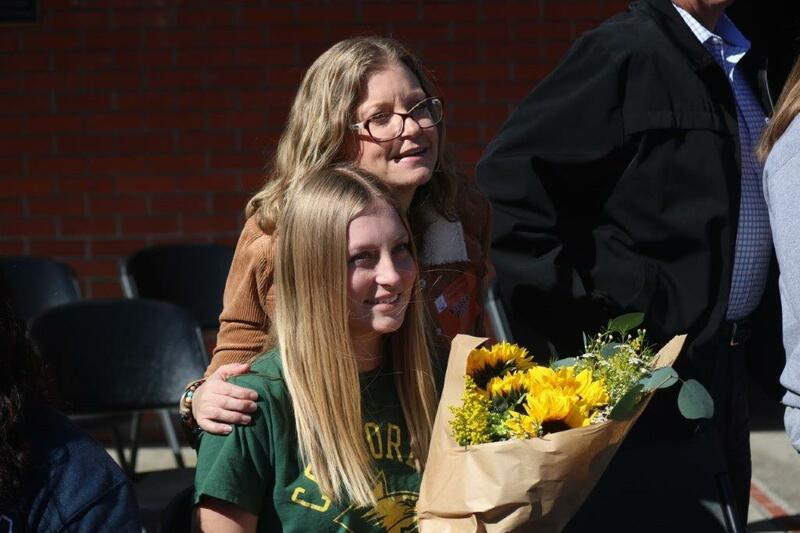 Jenkins will be going out to Columbia in New York City in July, and he already has a group chat going with some other Orange County players going to Columbia, including JSerra quarterback Caden Bell and future roommate Railan Peace of Sunny Hills. 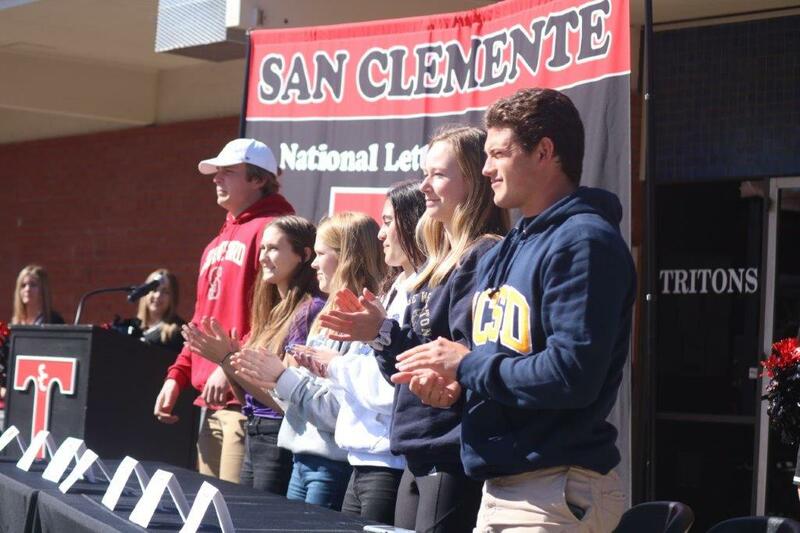 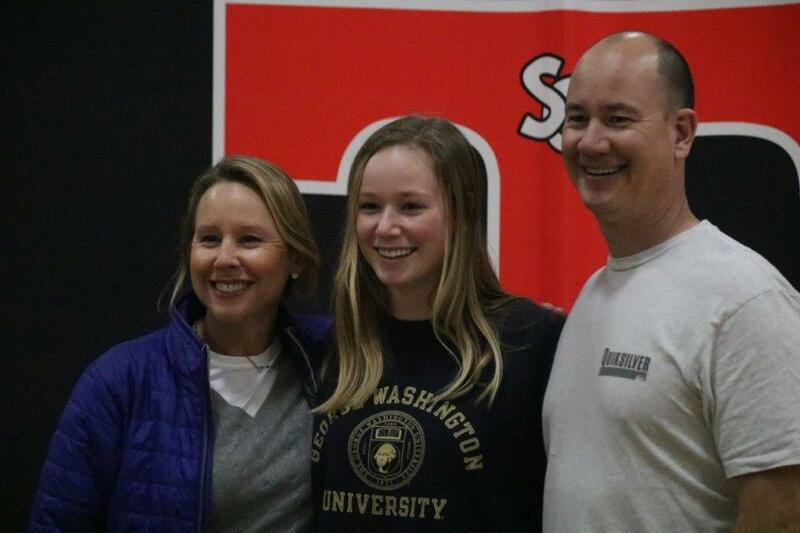 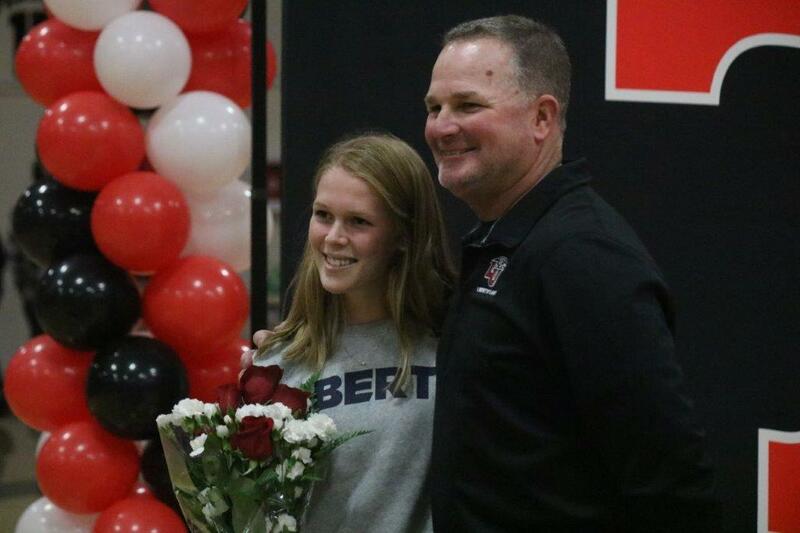 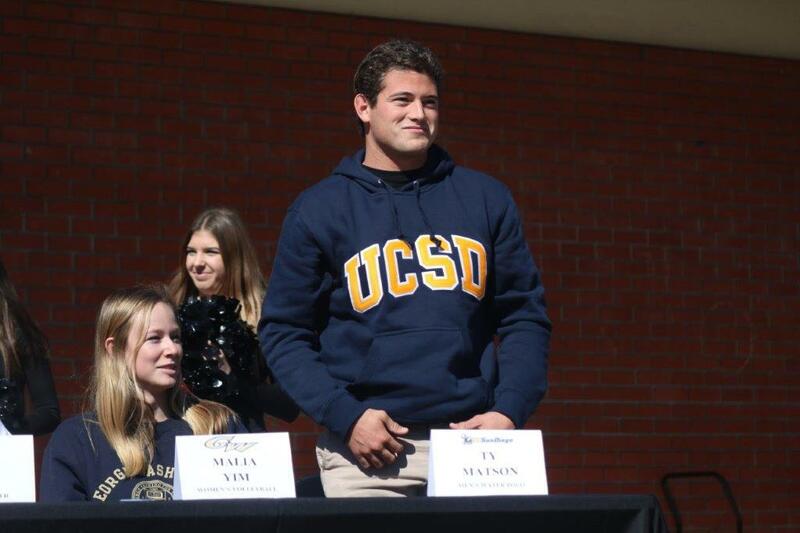 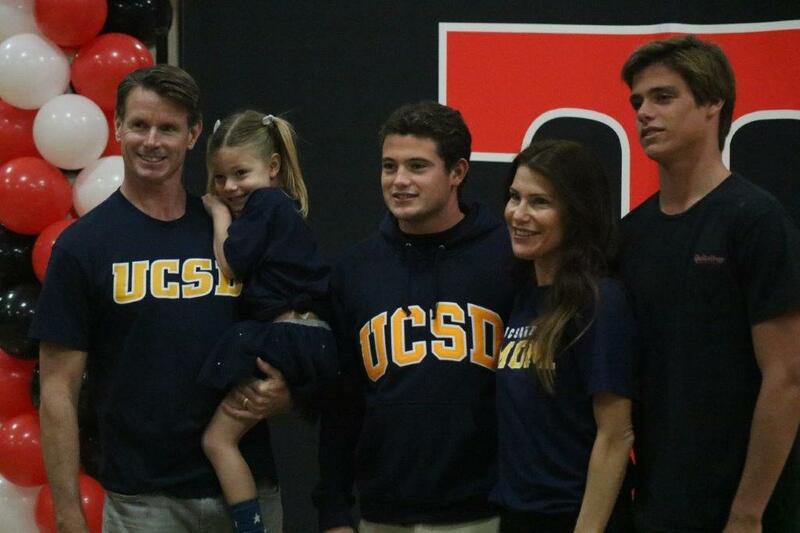 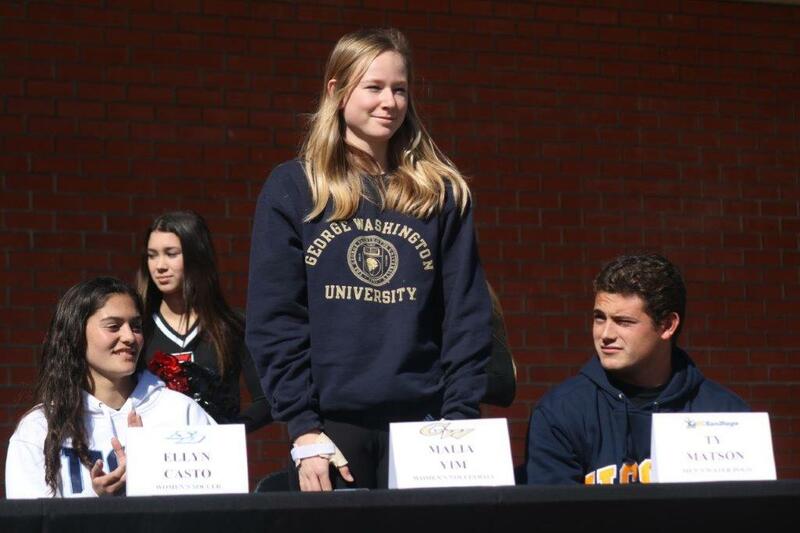 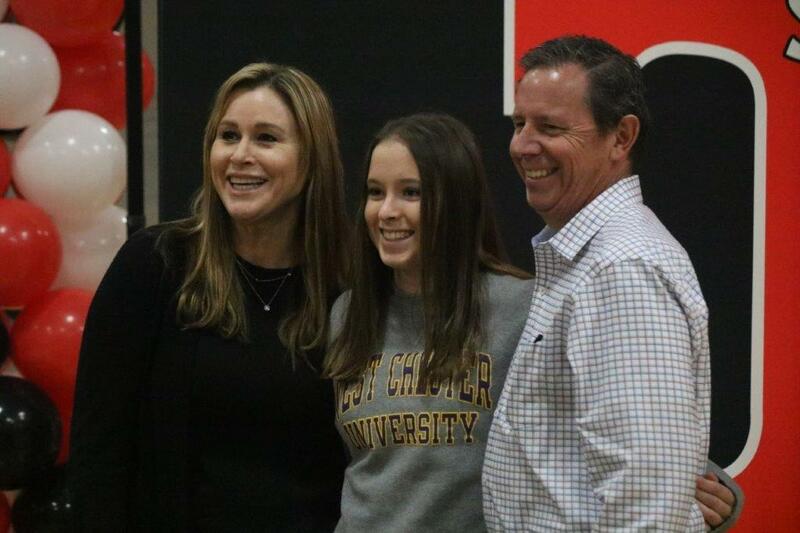 Ty Matson, a top-five goal-scorer for the San Clemente boys water polo team in back-to-back league championships, signed on with UC San Diego to stay a Triton. 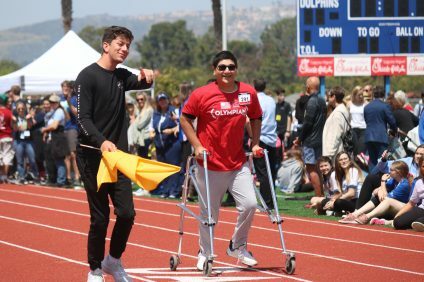 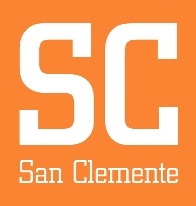 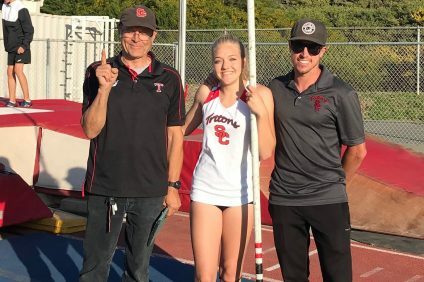 With San Clemente, Matson aimed for championships, and the mission is no different in San Diego.